What do you get when you remove the singin’ from “Singin’ In The Rain”? Turns out the iconic song and dance scene is equally whimsical but a little less romantic without any music. Mario Wienerroither has a whole host of these “music-less music videos,” but this one is particularly charming for how much of Kelly’s personality shines through despite the odd sound effects Wienerroither inserts in place of music. 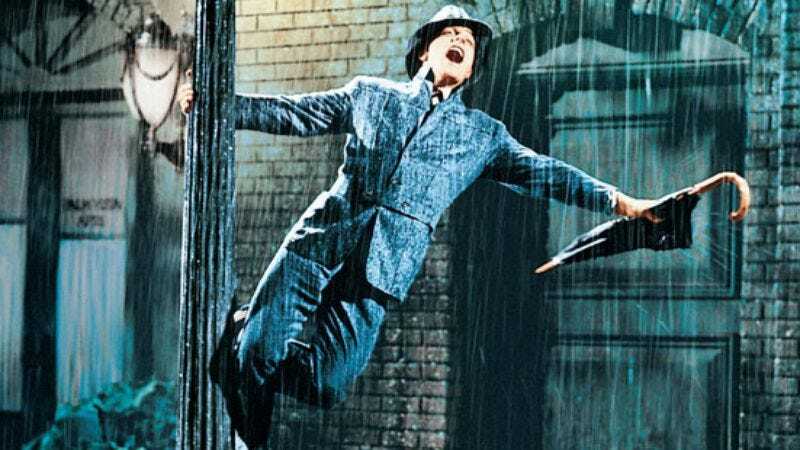 In addition to starring in the 1952 classic, Kelly also directed and choreographed Singin’ In The Rain. He famously filmed the titular number (which you can watch right here) with a 103 degree fever. It’s hard to say whether or not Kelly would agree with this comedic revamping, but considering the film also exalted the power of making people laugh, there’s a good chance he’d approve.